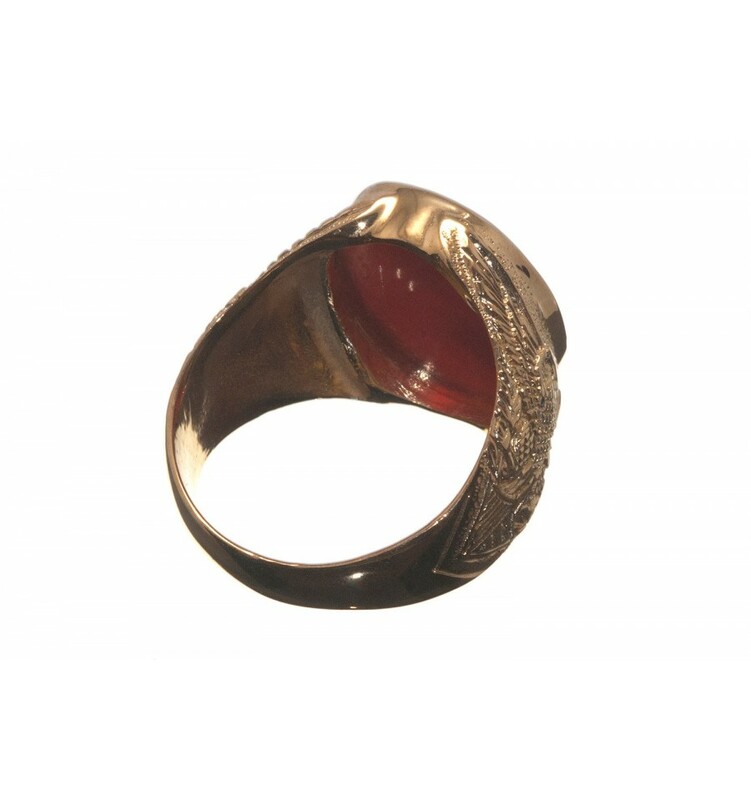 This ring commemorates George Washington and is hand sculpted from Red Agate mounted to a solid gold plated sterling silver chassis with American eagle shoulder decorations. 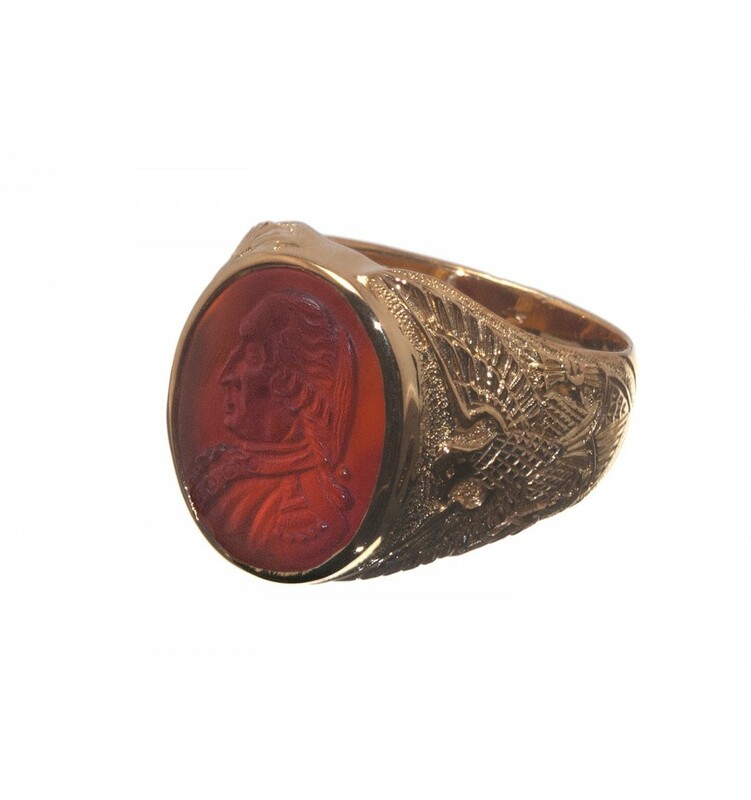 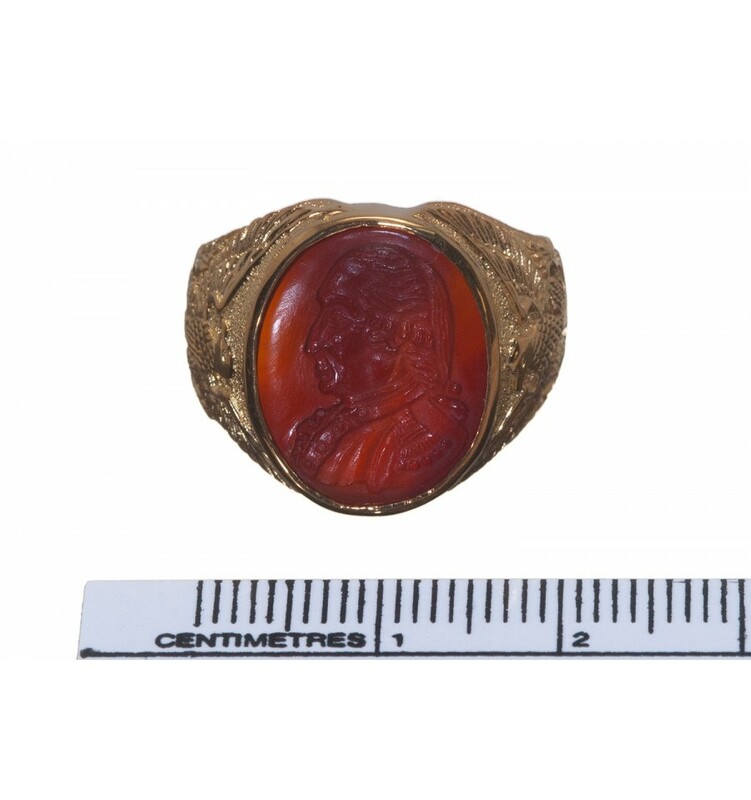 The profile of George Washington has been expertly carved from a piece of genuine Red Agate to create this spectacular ring. 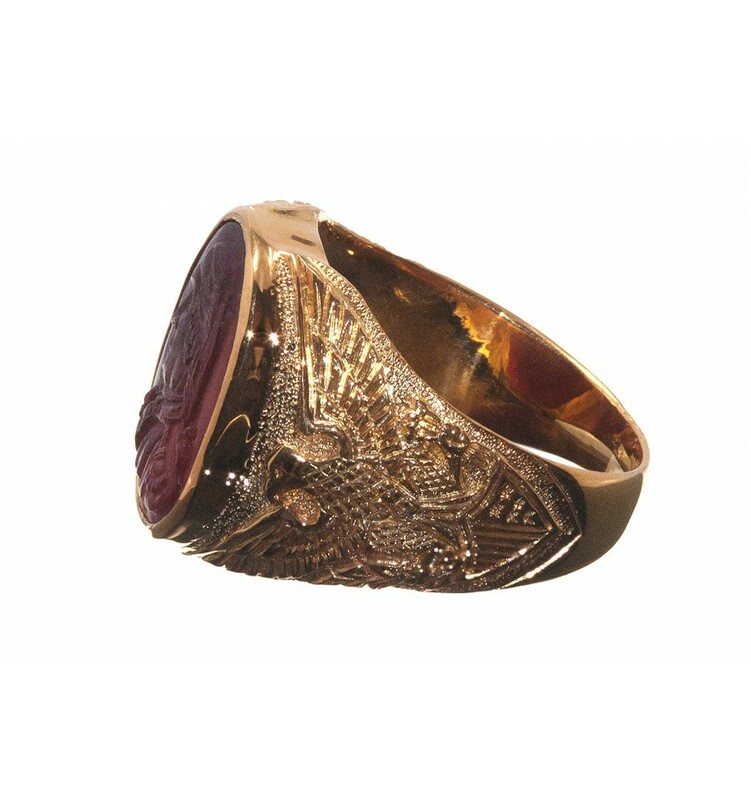 The addition of a solid gold plated sterling silver chassis with American eagle shoulder embellishments add to the impressive nature of this fine piece of jewelry. 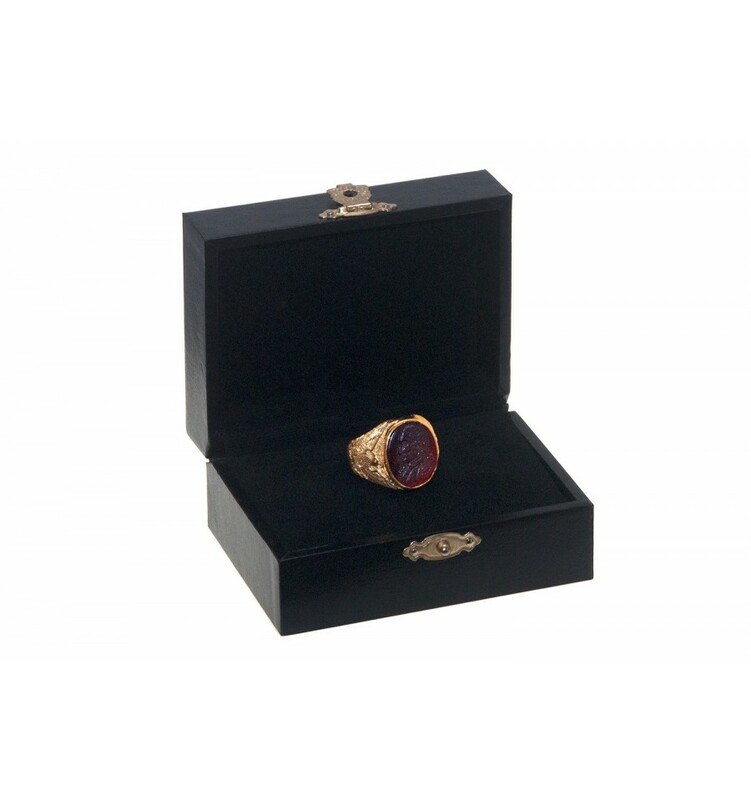 At 16 x 14 mm it is one of our smaller heraldic ring sizes and suitable for ladies as well as gentlemen.